At Tombow, we're passionate about offering the finest and most innovative executive pens, office, arts and crafts products on the market today. 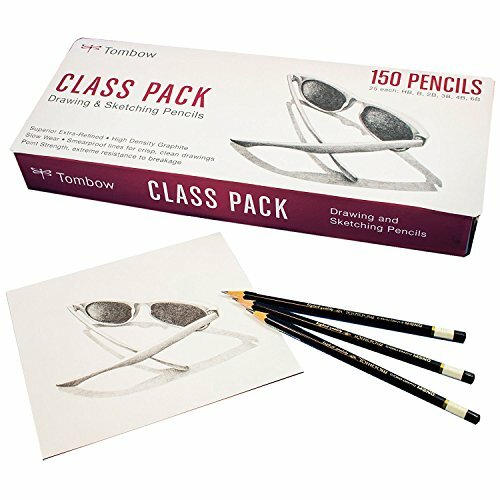 The Tombow MONO professional drawing pencil is the ultimate instrument for drawing and drafting. It features superior extra-refined, high-density graphite, high point strength, and is break-resistant. With the MONO drawing pencil you will get smear proof lines for crisp, clean drawing combined with slow wear for smooth, dense writing. Fourteen different degrees of hardness are available so there is MONO pencil for every drawing need. We know your projects are important to you. That's why Tombow art products are designed to last a lifetime. If you have any questions about this product by American Tombow, contact us by completing and submitting the form below. If you are looking for a specif part number, please include it with your message.